A very delightful part of my journey was spent in the town of Hawthorne, Nevada. 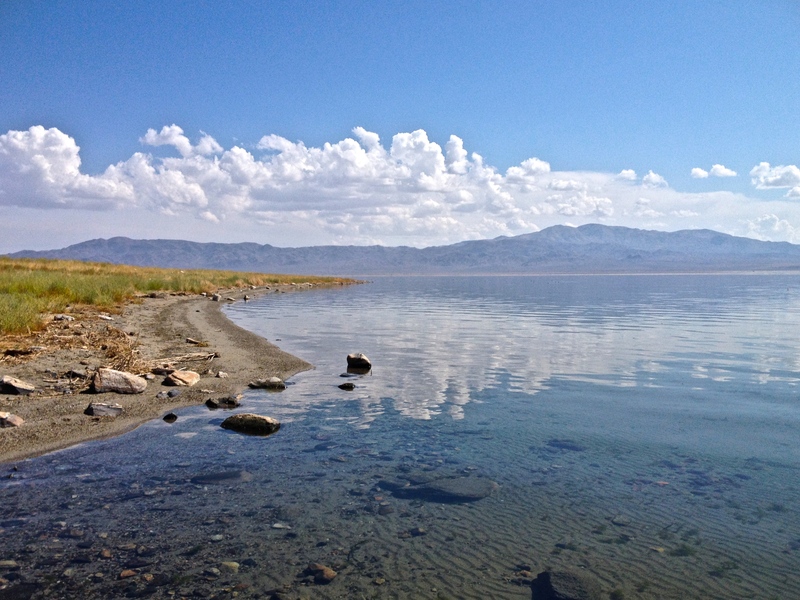 There is a gem of a park right in the middle of town called Scotty’s and only 10 miles away is Walker Lake. the remains of a vast prehistoric inland sea. 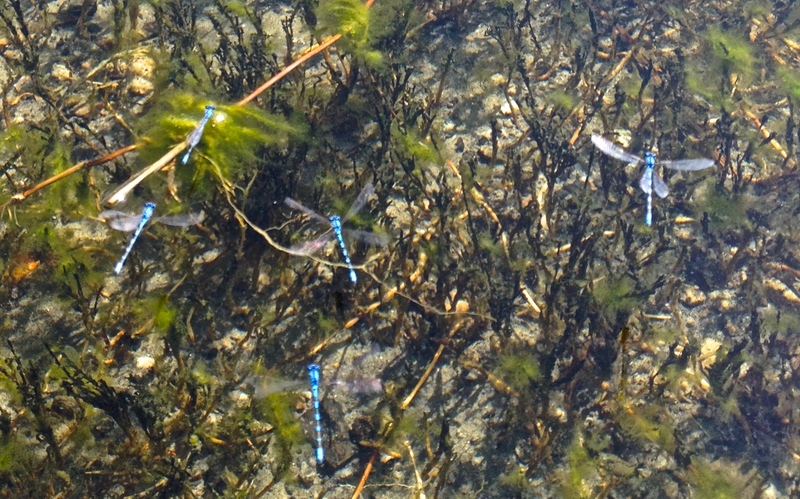 The day I visited the lake, several herds of wild horses were grazing on the lush grasses at either end of the lake, loons were sharing the cool blue water with bright blue damsel flies, similar to but smaller than dragon flies. 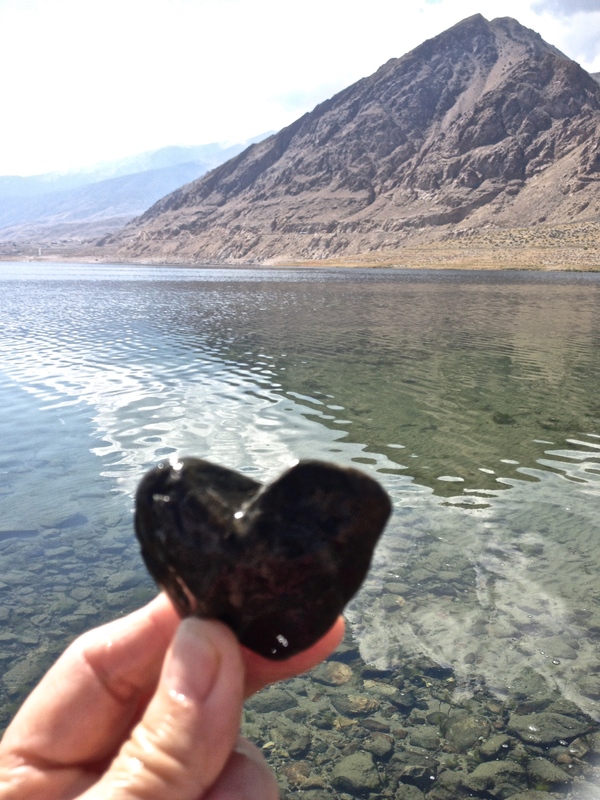 I felt drawn to the water to share along side them and waded through the water along the shore. What a simple pleasure ~ wading through water ~ sharing the day with loons and damsels and horses. What a magical place. Sounds wonderful. I love dragon flies. Their blue is so bright and beautiful. Thanks for sharing your wonderful times with me.